Home , Studio, office or business ! Perfect for your Home Theatre, Man Cave, Studio, Restaurant, reception area, business establishments, Office, Bar, Night Club or anywhere you want people to never forget where they were ! John's art has been sold and shipped to over 100 different countries on the planet ! from John Hoyt ART or to have a custom piece made special for you , a friend or business associate please email or call. Email or call me with your idea / requests. 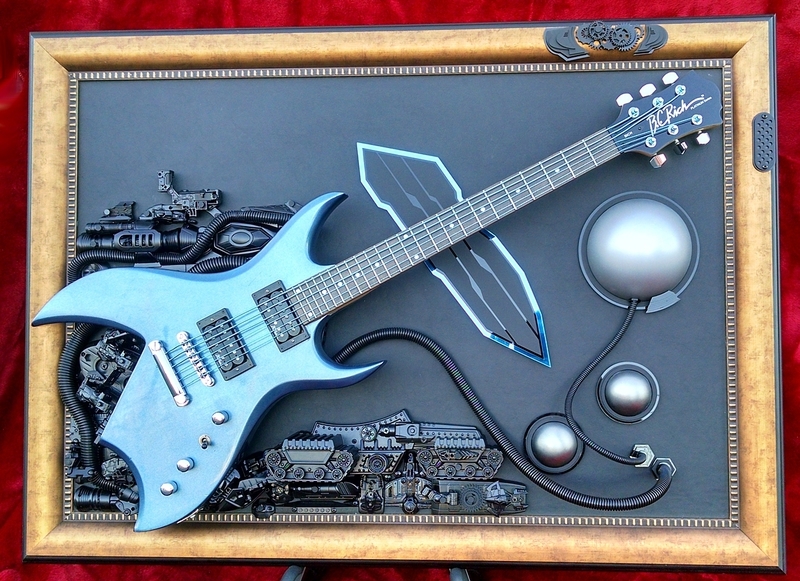 In most cases the guitars are permanently mounted to the artwork . 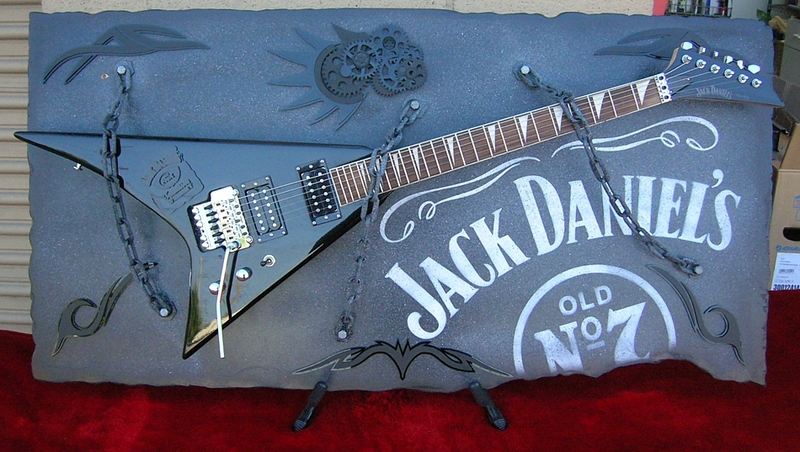 At request, a guitar art piece can be fabricated as a "docking station" for your prized guitar and easily removeable for playing. 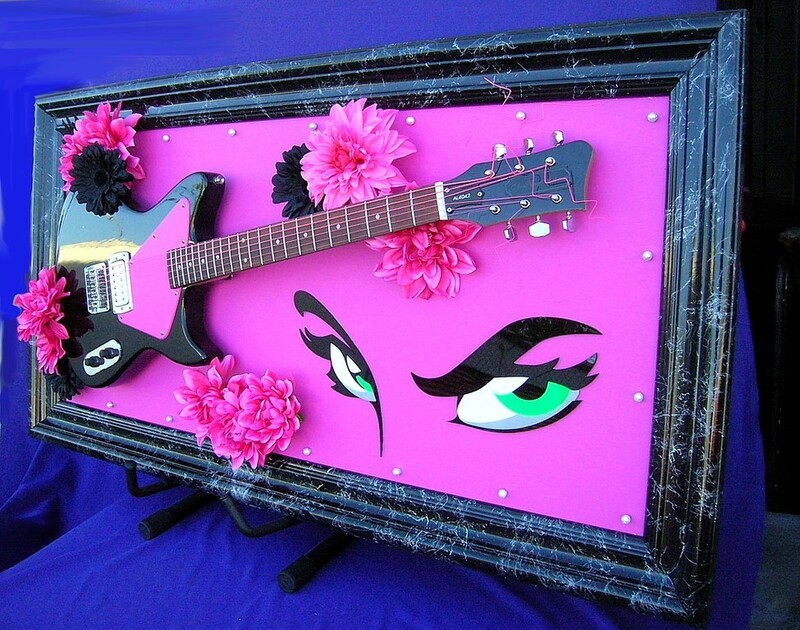 3-D ART decor inspired by your favorite MUSIC ACT, BAND, or MOVIE etc. or to have a custom piece made special for you , a friend or business associate ! John's latest piece is the GUITAR WALL ART HANGER - displays any guitar as a WORK of ART for your wall. 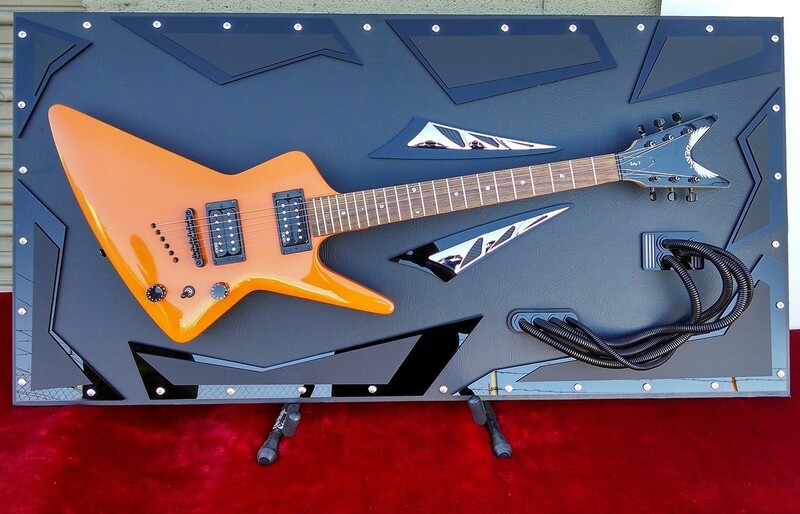 Measures 4 feet x 2 feet and accomodates any guitar - electric or acoustic. The grinded metal backing has many layers of gloss making the entire piece a 3D appearing, "deep" dimensional effect that looks like you could plunge your hand right into the backing art! Amazing ! Fantastic ! Incredulous ! 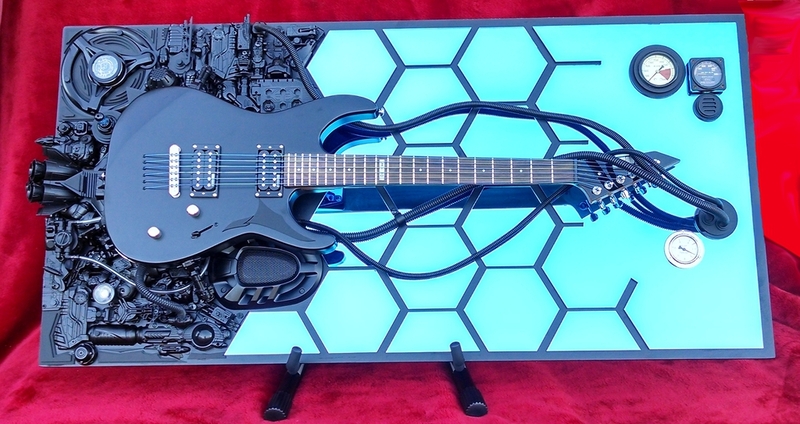 Display your prized guitar on this 3-D guitar wall art piece ! John Goodman as crazy Walter in "The Big Lebowski"
In Memory of Jan Kuehnemund, lead guitarist and founding member of VIXEN, the most popular all female Heavy Metal Rock band to ever grace the planet !